Sample materials – this is a collection of well constructed pitch materials and executive summaries. You can use these as a guide as you look to prepare your own. 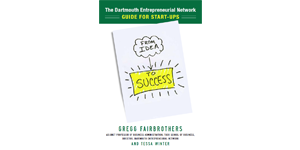 Reading – this is a substantial reference which covers all phases of the entrepreneurial process. Inside of this section, you will find print, audio, and web resources that can help supplement your growth as an entrepreneur. Lastly, don’t forget that this site is a resource for the book From Idea to Success. Check out the About section to learn more about Gregg, the DEN, and the book.